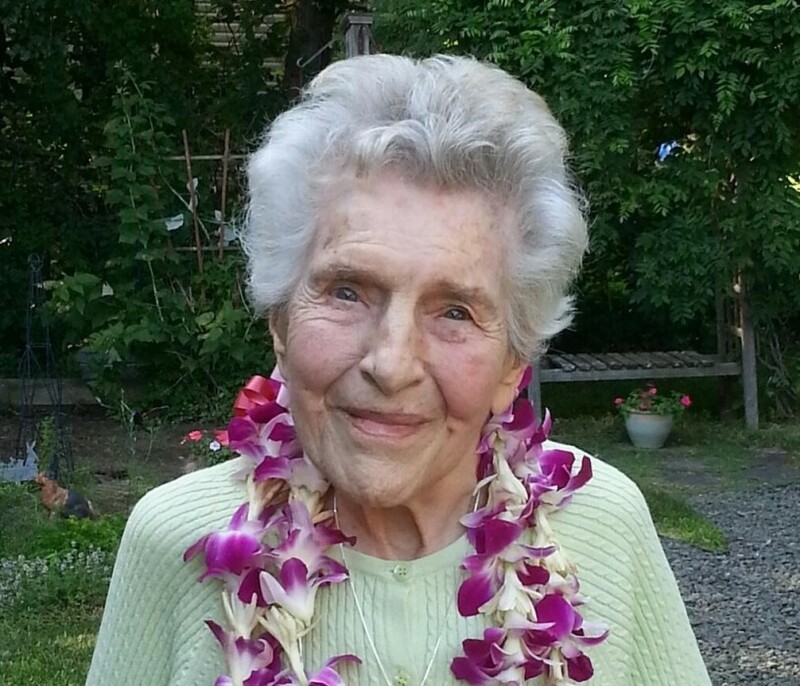 Harriett Elaine Ziemann, 99, passed away on September 22 at her home at River Glen Health Care Center in Southbury.She was born July 10, 1919 in Stoughton, Wisconsin, daughter of Christine (Hegge) Everson and Carl Everson. She graduated from Beloit High School and attended the Norwegian Lutheran Deaconess Hospital School of Nursing in Chicago. She worked as an assistant in Physiotherapy at the Deaconess Hospital where she met her future husband, Clarence, while attending to his father.Harriett was a member of Christ the King Lutheran Church and served on the Altar Guild for many years. She was an exceptional seamstress and had a flare for fashion. She was always well dressed, even in her last days. She was an avid reader and a great listener. She was gracious and kind, an inspiration to all who had the pleasure to know her. She is predeceased by her husband Clarence Ziemann, her sister, Marion Everson, and her brother Carl (Bud) Everson, Jr. Beloved mother of five children: David Ziemann , Kaneohe, Hawaii, and his wife Lytha; Timothy Ziemann, Sanford, N.C.; Kurt Ziemann , Bolton, Massachusetts, and his wife Susie; Paul Ziemann, Boulder, Colorado; and Karla (Ziemann) Knox, Prospect, CT and her husband Mark. She is also survived by 4 grandchildren: Joey, Rosie, Gage, and Sean, and 2 great grandchildren, Everett and Lily. There will be a memorial service at Christ the King Lutheran Church, 85 Mount Pleasant Road, Newtown, CT on Saturday, September 29 at 10:30 AM. Donations can be made in Harriett’s name to MaggieComfortDog in care of Christ the King Lutheran Church. "My mother had a slender, small body, but a large heart—a heart so large that everybody's joys found welcome in it, and hospitable accommodation."